Cloud 10 Beauty....Have I told you lately that I Love you? Cloud 10 Beauty is my favourite online beauty shop, they have brought us some pretty amazing brands (and the list of brands keeps growing). Cloud 10 have recently revamped their site and I cant wait for some of the new products that they have launching soon. 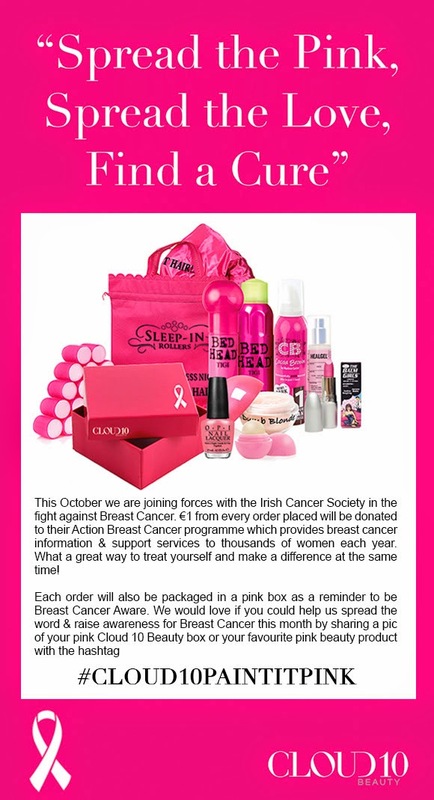 October is Breast Cancer Awareness month and Cloud 10 Beauty are donating €1.00 from every order to the Irish Cancer Society. 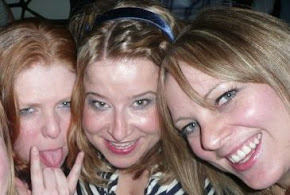 We can feel good about ourselves and look good at the same time - everybody is a winner-. No only can you feel good about your purchase it also comes in a pretty pink box. This is absolutely wonderful of Cloud 10 and I feel its our duty to make a purchase during October. If you are in need of some purchase inspiration I am loving the brand The Balm which Cloud 10 stock. I am a huge fan of their highlighters which come in the cutest packaging. I am a little addicted to highlighters at the moment. I know the current beauty trend is the 90ies lip (anybody around for the actual 90ies shudders every time we hear this) but I am obsessed with the J-Lo Glow (yep even though its not summer I am still obsessed). The Balms packaging is kinda adorable especially their range of highlighters which come in compacts. Cindy-Lou Manizer* is a rose gold high lighter and Mary Lou Manizer is a traditional champagne highlighter. These work wonderfully on the eyes as well as to highlight the face. How pretty is Mary-Lou? The Balm products are soft and buttery but also extremely pigmented. These Highlighters are €19.00 and will last a life time. Since I am a bit of a high lighter junkie I had purchased Becca's Shimmering Skin Perfector in Rose Gold. This bad boy costs £30.00 (from SpaceNK) and the colour is EXACTLY the same as The Balm. I prefer the effect that the Balm's Mary Lou leaves on the skin. To the left is Becca and to the right is The Balm Cindy Lou, as you will see from the swatches below they are exactly the same. I always feel a bit smug when I have highlighter on my skin. So what will you be buying from Cloud 10 Beauty this October.